Mexico celebrates Easter with great passion. In 2019 Holy Week is celebrated April 14-20. Easter Week (Semana de Pascua) is the week afterward. Easter season traditionally begins with Carnival, a holiday that can begin up to two weeks before the beginning of Lent (Cuaresma). Carnival is a time of rich living and rich eating. The word ‘Carnival’ is derived from ‘carne’ or meat. Mazatlán is home to the third-largest Carnival celebration in the world after those in Rio de Janeiro and New Orleans. Attracting more than 400,000 people, the event features singing and dancing. Veracruz City hosts the second-largest carnival in Mexico, followed by Merida and Cozumel. In Oaxaca’s Teotitlán del Valle, Carnival is celebrated after Easter. Lent (Cuaresma) represents the 40 days Christ spent in the desert. Ash Wednesday (Miércoles de Ceniza) is the first day of Lent. Fridays (Viernes Cuaresmas) are celebrated in Oaxaca City with a local tradition of young men giving young women flowers early in the morning in El Llano Park. Samaritan Day (Dia Samaritana) is a custom in Oaxaca City celebrated on the fourth Friday in Lent. Free refreshments are offered to passersby. Churches, businesses, schools and government offices offer traditional fruit drinks, including horchata, jamaica, tamarindo and local favorite chilacayote. Friday of Sorrows (Viernes de Dolores) is a day of great devotion in Oaxaca City, celebrated on the sixth Friday in Lent, one week before Good Friday. The tradition dates to the Colonial period when priests consecrated a chapel to the Virgen de los Dolores. 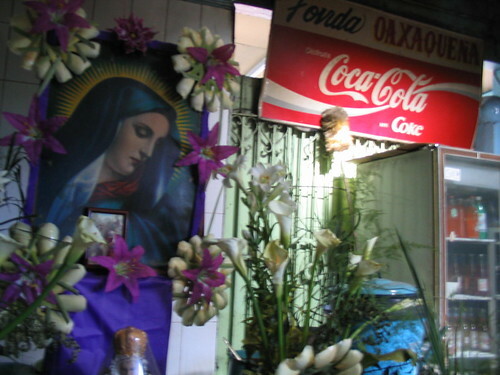 Altars are built in public areas, markets, homes and churches to commemorate the pain of the Virgin Mary. Altars are decorated with seedlings, straw flowers and chia pets. 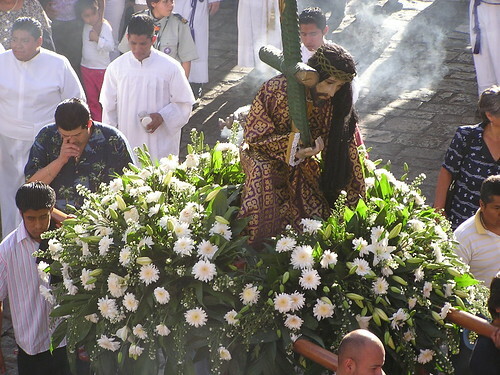 During Holy Week (Semana Santa), worshippers participate in reenactments of the Passion, from Jesus’ arrival in Jerusalem to his crucifixion and resurrection. Palm Sunday (Domingo de Ramos) takes its name from Jesus’ entry into Jerusalem where crowds laid palms at his feet. Outside churches, weavers create and sell elaborate woven fronds which are later hung on doors of homes to ward off evil. 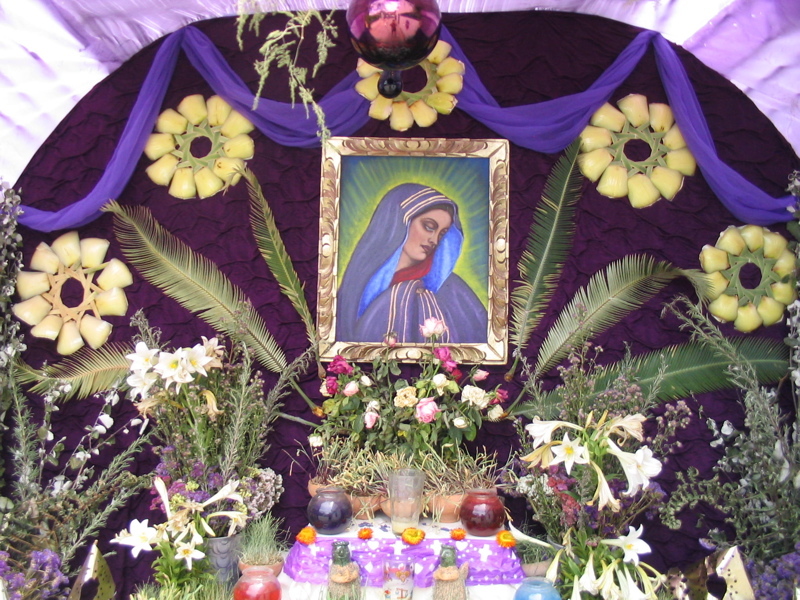 Holy Monday (Lunes Santo and in Zapotec, Chiluin Sant) celebrations take place in the Zapotec village of Teotitlán del Valle. Holy Thursday or Maundy Thursday (Jueves Santo) commemorates the Last Supper shared by Jesus with his disciples and Jesus’ betrayal by Judas. In Oaxaca City, it’s a tradition to visit seven churches. Good Friday (Santo Viernes) commemorates the trial, crucifixion, death, and burial of Jesus. Silent processions are held in city streets. Easter Saturday (Sabado de Gloria) commemorates the day in which Jesus rested in the grave. Some communities celebrate by burning paper maché effigies of Judas. Easter Sunday (Domingo de Resurrección or Pascua) commemorates the resurrection of Jesus. Easter is observed in Western cultures on the first Sunday following the full moon following the spring equinox. 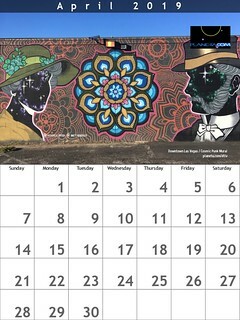 It is based on the Hebrew lunar calendar and can occur as early as March 22 or as late as April 25. Lent is a time of simplified living and meatless dishes. Seafood is permitted, so there are plenty of tuna dishes as well as seafood soups. If you like your cheese quesadilla with fish, try the pescadilla. The religious celebrations of Mexico’s Indigenous communities incorporate European beliefs with regional syncretism. Most celebrations incorporate traditional dances. Since Easter Sunday is a national holiday and the Thursday and Friday before Easter are paid vacation days, many workers receive the whole week off. This is a major holiday, so it is wise to make reservations and buy tickets ahead of time. In Mexico City’s Xochimilco Gardens, the annual Xochimilco Festival is held two weeks before Easter and dates back to precolonial times when Mexicans honored the goddess of flowers (Xochipilli) and the goddess of dance (Maculxochitl) to ensure good harvests. Every year a young woman is crowned La Flor Mas Bella del Ejido (the most beautiful flower of the land) who presides over colorful parades on flower-decorated barges along the famed canals. The most popular dramatic representation of the Passion is held in Iztapalapa, on the east side of Mexico City.